Website News « Believe-In-Rollins.com | Your Most Dedicated Source for Seth Rollins! To our awesome Rollins supporters – life has been one heck of a whirlwind this year! I try as much as possible to keep my personal life out of the websites I run, but I feel I need to take the time to say some thank you’s, and give you all some insight. These websites are truly equal parts hard work & a lot of joy at times for those of us behind the scenes. While I can’t speak for every site webmaster, or webmiss out there, (because it’s impossible to know everyone!) we are for the most part just passionate fans who wanted to share the love we have for a superstar with others. We want to support our superstar (or superstars) in their highest highs and lowest lows. Some of us spend hours of our time crafting content, and spend at times hundreds of dollars to keep site’s going strong. It’s not something you can work half-hearted at and last very long. It’s an interesting world and sometimes the real world gets involved and butts heads with our fansite world. I’ve had one of those curveball years here. In this year alone I have: completed my career as a student, found a new career, moved to a new place in a new town, and worked hard at overcoming some old personal demons. I’ve also had many people that helped me out on my sites leave due to things going on in their lives (this happens and there’s absolutely no hard feelings). All of the above have taken up countless hours and days of my time, that caused me to fall further behind on website posts and brought some projects to a pause. I’ve felt extremely guilty, and sad that I’ve had to take several hiatuses from most site activities beyond doing weekly show posts for my active wrestlers. In all the years I’ve been at this, this was the one where I’ve had to be away the most. Make no mistake though – I am STILL a dedicated wrestling fan who has never stopped caring about the people I’ve dedicated sites to. I have always worked to keep building up the sites and I will work to replace the missing posts, as I always have. 2019 is a rebuild year and it’ll take time, but as long as wrestling still makes me smile I don’t plan on stopping. I do this only for fun & to support the wrestlers who have given inspiration, hope, and memories. For those who have sent comments expressing their displeasure, please realize that behind the scenes of most of fansites is someone who is probably hating it every time they have to miss a fun post, or live coverage. It’s a challenge to keep up with everything and do it well. Not every page can update 5 minutes after things happen. It’s unfortunate not everyone will understand, but for those who do I thank you again! SO – during this time, I thank everyone who has been so patient and is still with the site as a follower. Some of you I’ve seen on my TL since I started and that means so much. Thank you to anyone who has ever donated photos, stories, videos, or sent out kind thoughts to the site. 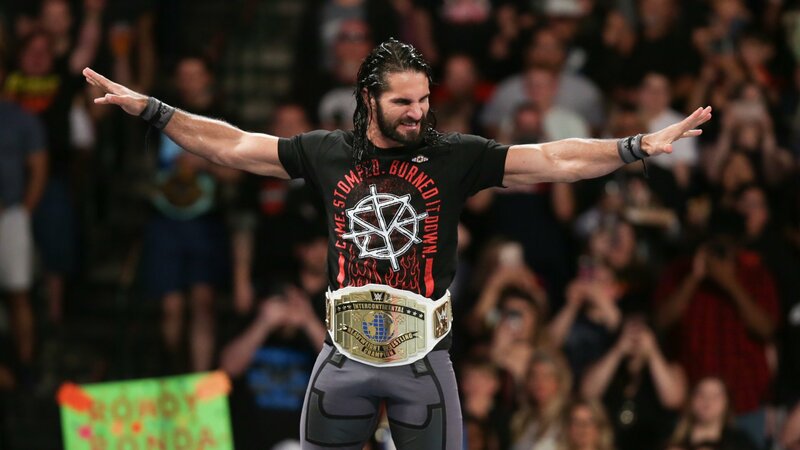 Thank you to those who have cheered on Seth this year, as the true champion and workhorse of Raw (we all know he was)! I also thank anyone who supports the other members of our site family. and whatever else I can come up with along the way!